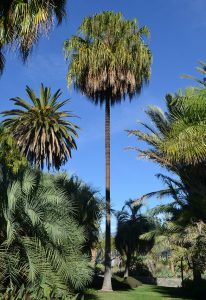 Palms are a much loved family of plants which, over the ages, have endeared themselves to gardeners everywhere. 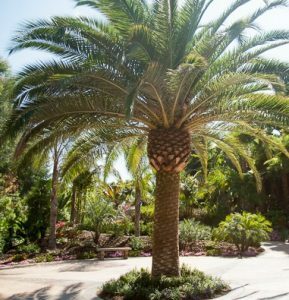 Whether they are placed in feature gardens, public parks or private courtyards, the grace and form of palms adds an atmosphere of relaxation and a hint of the tropics. 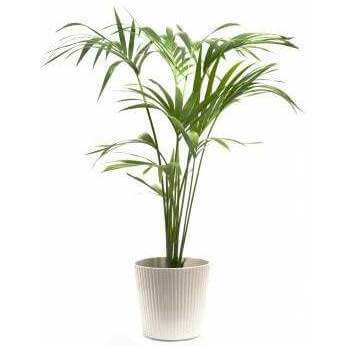 This same effect can be repeated indoors where nothing can quite match the elegance of a well grown Kentia or Parlour Palm. Their compact root system allows palms to grow in containers for years. 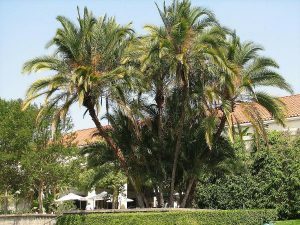 Light, temperature, exposure to sun and wind, available space and visual appearance are factors to be considered when selecting palms. 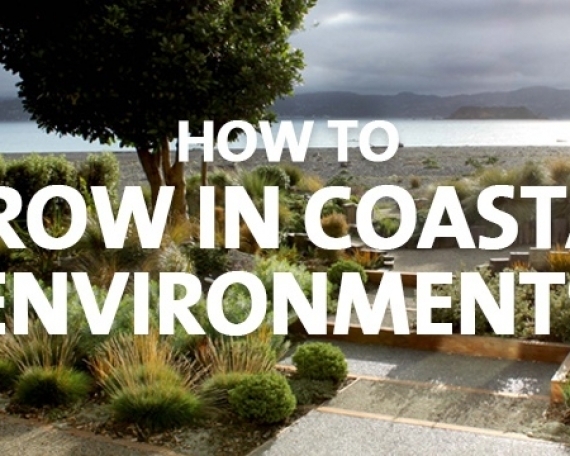 The determining factor for many is whether it is for indoors or for outside. 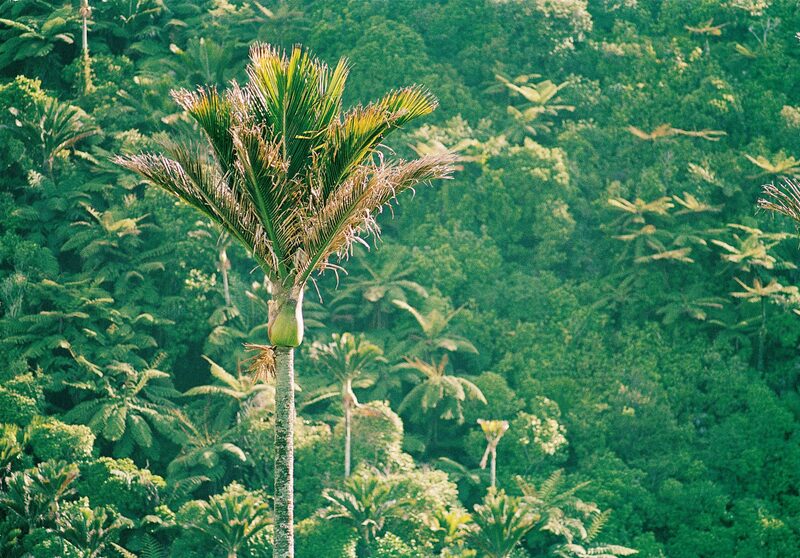 Some palms suit both. Many smaller species originate from forests where they grow beneath the canopy of evergreen trees. They have adapted naturally to low light which enables them to grow in similar conditions indoors. 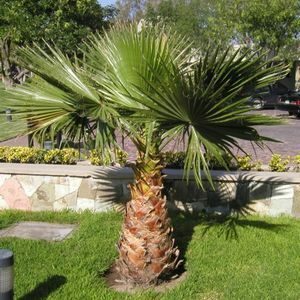 Palms from more exposed and arid environments will grow well in containers around decks, patios or pools, wherever there is a lot of sun. 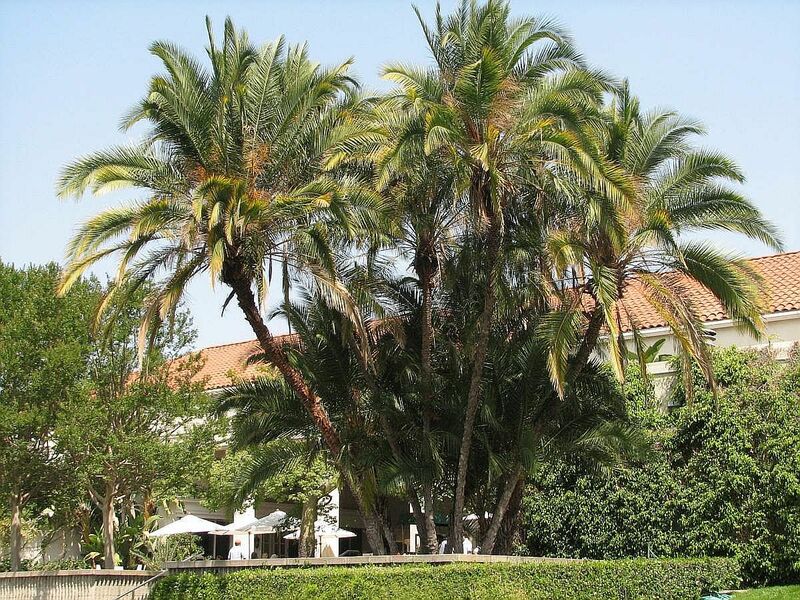 During warmer weather, palms should be watered regularly and thoroughly. Potting soil should combine free drainage with moisture retention, ensuring a consistent uptake of water and nutrients. 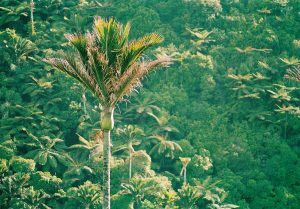 All palms detest stagnant water at the roots, so don’t let them sit in saucers of water. However, a saucer of pebbles under your palm will catch water runoff while providing good drainage and extra humidity. 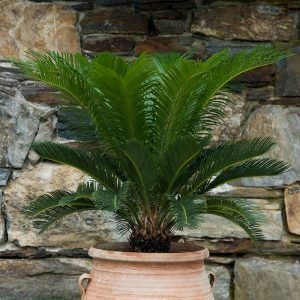 If a palm is to be grown in a confined space for a long time, don’t re-pot too often as restricting its growth will keep it in scale with its surroundings. Only re-pot when the plant is pot bound. If growth is rapid and conditions are good, re-pot regularly, especially at the beginning of a new growing period. Palms will only take up nutrients during the growing season. Apply a complete slow release fertiliser sparingly in early summer. They will also respond to diluted liquid fertilisers. 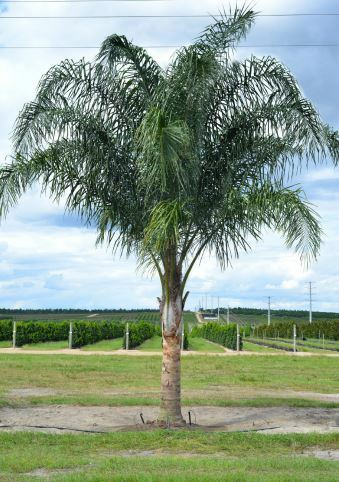 Palms are relatively pest free, although scale insects and mealy bugs can be a problem. In severe cases, Confidor is the only cure. Keep your indoor palm fronds clean by sponging with a damp cloth every 4-6 weeks to remove dust. Oils are not recommended as they can cause leaf spotting. 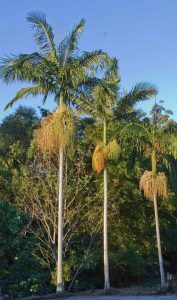 It is natural for the lowest leaves to turn brown and droop. Remove them by cutting, not pulling. Under watering or cold air may cause yellowing of leaves or browning of leaf tips. Brown spots may occur from overwatering or sudden chilling. Fast growing and decorative feather palm. 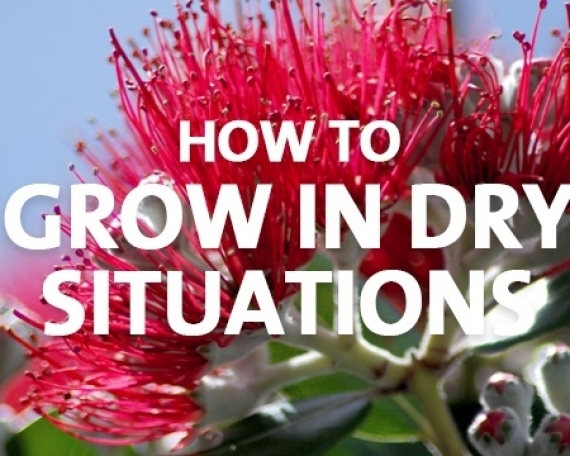 Grows happily outdoors in Auckland and northwards and in other warm coastal locations protected from frost. Good tub plant for sheltered patios and verandahs. 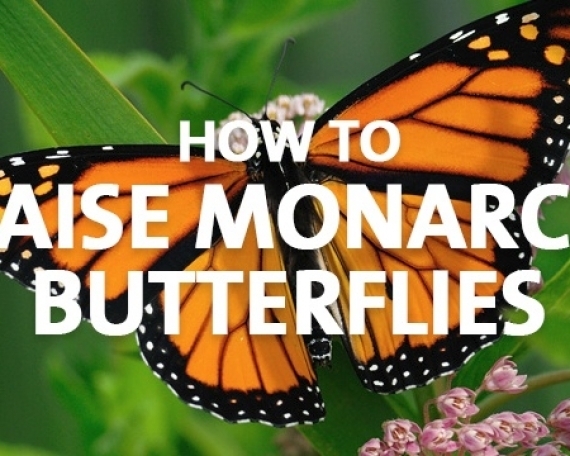 As an indoor plant, it needs bright light and moist soil. Attractive as a large outdoor potted specimen, this fast growing palm is tolerant of sun and some wind. 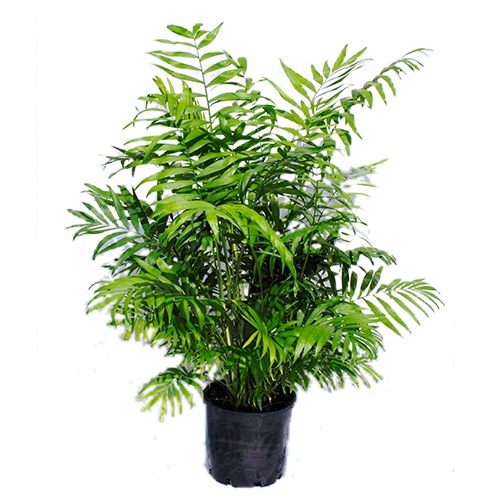 Easily transplanted, it’s suitable for garden planting in full sun or pot culture for patios, verandahs and indoors where good light conditions exist (i.e. early morning sun for a few hours or strong light all day). 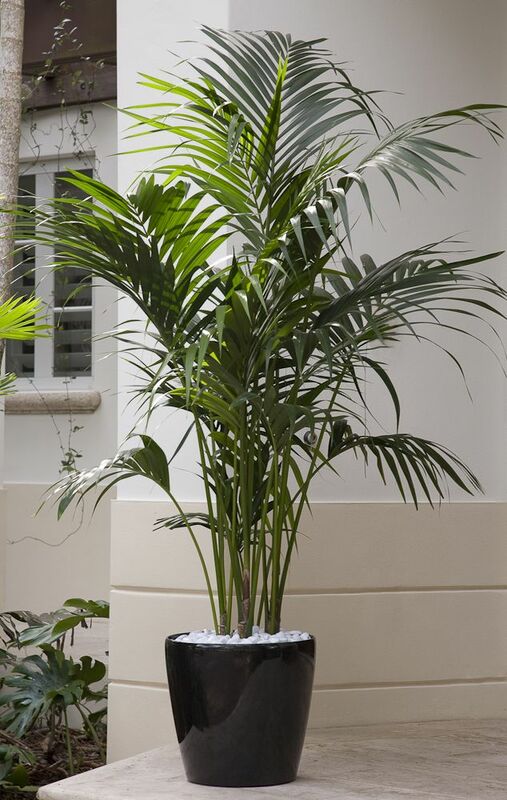 One of the world’s most favoured indoor palms. A small palm with graceful arching fronds, often forming clumps. Warm, well lit position with some early morning sun is ideal. Tolerates low light. Unlikely to grow more than 2.5m. 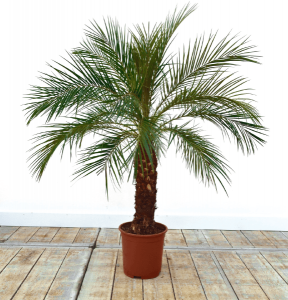 Perhaps the best known and widely used indoor palm. A dwarf that grows to only one metre. Graceful soft fronds. It will tolerate fairly low light and does not like any direct sun. Both very versatile for container growing. Graceful arching foliage. H.belmoreana is slower growing and more compact. They both tolerate low light making them popular for indoor use all over NZ. Will grow into large plants in small pots. Suits normal room temperatures and tolerates reasonably dry air. Can eventually be transferred outside when they grow too big for the house. Plant in shade and protect from frost. Large fan shaped leaves. 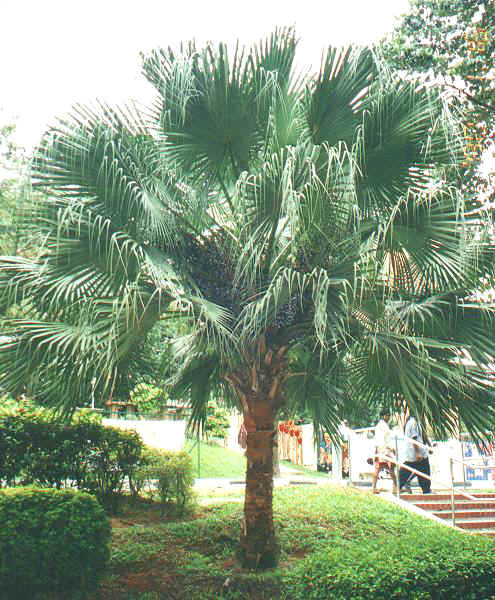 Very hardy outdoor palm. Suitable for small landscapes, patios or large bright rooms. Thorny when young, but thorns disappear when the plant matures. Attractive, large pale green fans. Very hardy. Good landscape, pot or tub plant. Requires a fairly wide location for its spreading leaves. Leaflet tips are pendulous in older plants. Slow growing. 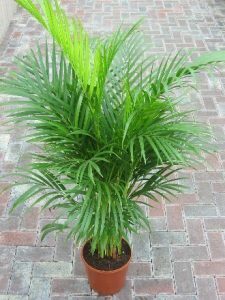 Beautiful miniature date palm with dark green fine fronds. Excellent indoors in a well lit position with normal room temperatures. Good pot plant for warm sheltered patios with light shade. Large feather palm reaching a height of 6m and a width of 5m. This palm is a dramatic feature plant suitable for planting in avenues or as a single specimen. Prefers a full sun situation. Drought resistant and very cold hardy. 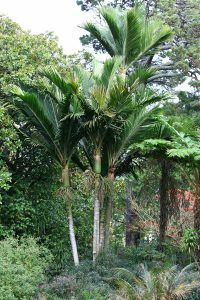 A feather palm with a clumping habit. Prefers a sunny warm position and needs protection from frost. Faster growing than the NZ Nikau and leaves arch more gracefully. They thrive in dense shade and tolerate wind. Ideal for semi-indoor/outdoor areas. Attractive fan palm with stiff leaves. Extremely hardy in cold areas. Good terrace or garden palm. Withstands frost and full sun. Develops a shaggy trunk covered in fibres like horse-hair. Indoors it requires 3-4 hours direct sunlight a day. 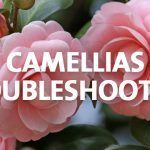 Excellent tub plants for large outdoor containers. Frost and wind hardy. They grow fast so will need space. Fine cotton-like threads hang from between the leaflets giving the cotton palm its common name. W.robusta has a slender trunk whereas W.filifera has a thick trunk. 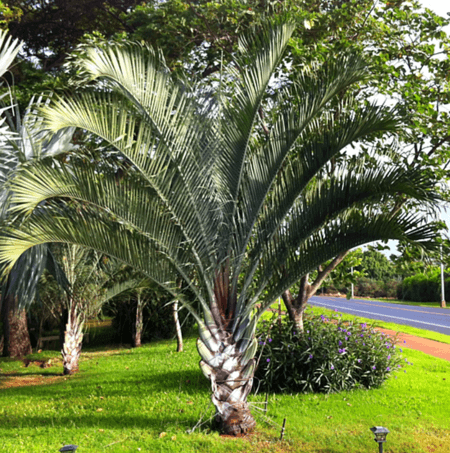 Sometimes called petticoat palm because the lower dead leaves are retained like an underskirt. 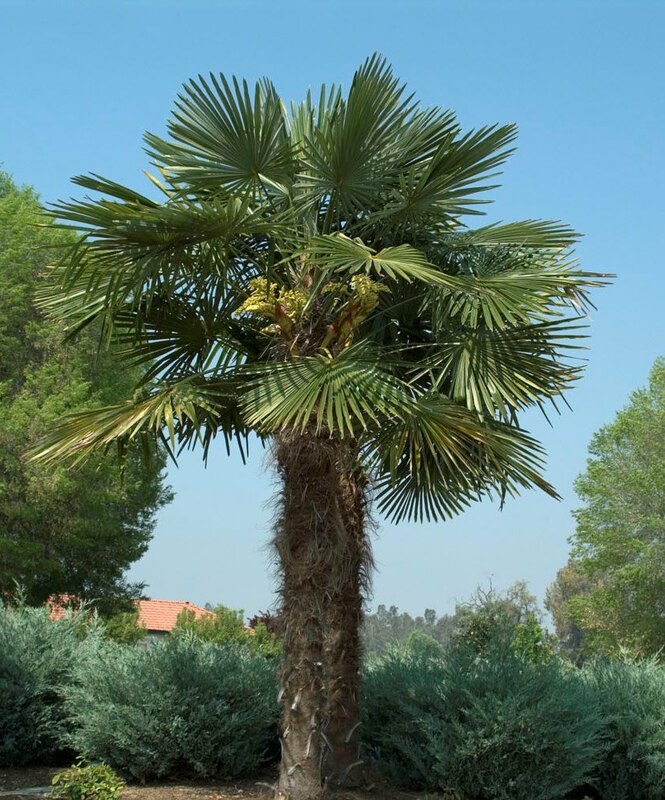 This distinctive palm has feather like foliage growing from a triangular stem. Ideal for containers, this palm is happy indoors or outdoors, in a warm, sheltered position. 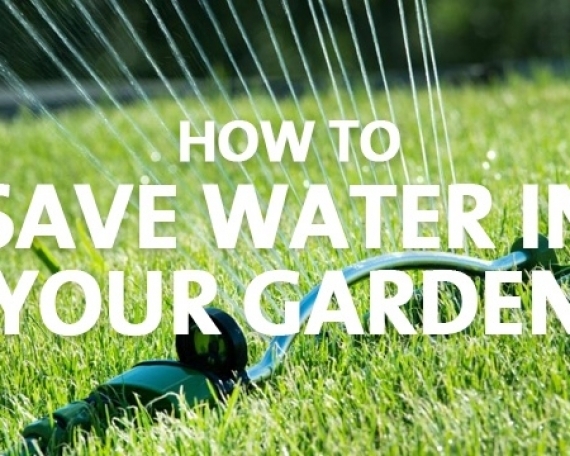 Keep soil evenly moist and spray regularly with water to keep the humidity high. Height 3.5mm, width 4.5m. 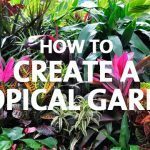 Slow growing, this plant is ideal for a container. A stunning feature plant that is happy indoors or outdoors. Prefers partial shade but it will grow in sun. Height 1m, width 1m.